Dr. Leonard Smith is a respected general, gastrointestinal and vascular surgeon and on the cutting edge of holistic treatment. 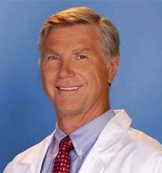 Dr. Smith is the featured Body Ecology Medical Advisor in The Body Ecology Guide to Growing Younger. Dr. Smith is the Medical Advisor for the University of Miami's Department of Integrative Medicine.